Riley Library & Google Scholar unite! Look for the Full Text @ Riley Library link in your Google Scholar search results, then follow the link to access the full-text article straight from Google Scholar. 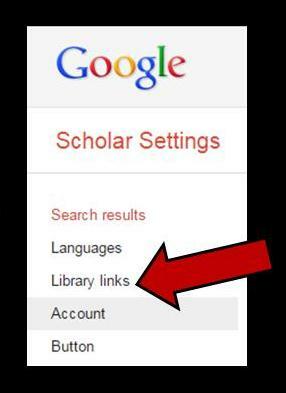 When using computers on campus, the Full Text @ Riley Library link automatically shows up in Google Scholar search results. 4. Search for Northwest Nazarene University in the search box. Select all Northwest Nazarene University boxes, keep Open WorldCat selected, and save.